There have been times during our deputation work when the Lord has taken our schedule out of our hands and given us something unplanned, just to remind us that He is the one driving everything, and that this mission is not being accomplished on our own steam. That’s what happened during our trip to Tinley Park, IL. 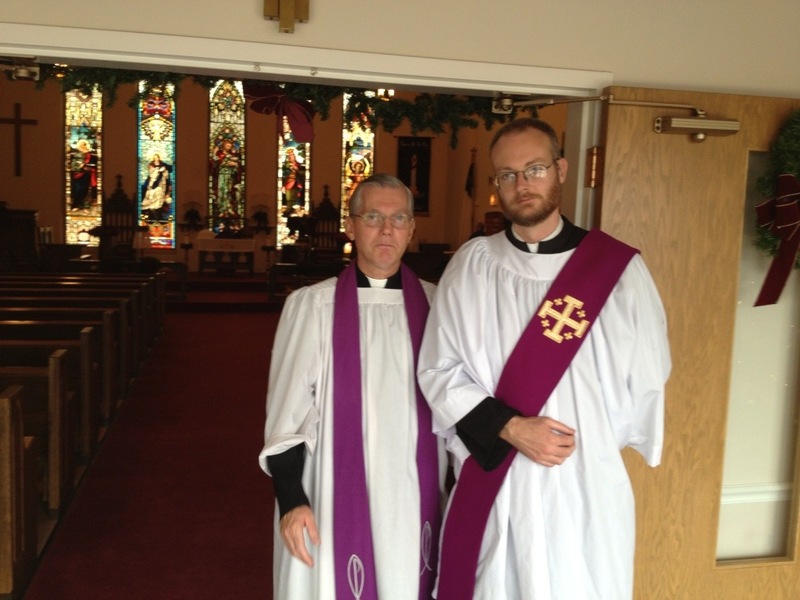 We had an invitation to visit St. Andrew’s Anglican Church (Rev. Frank Levi, rector). On the way to Illinois, we received a call from Fr. Levi telling us that we should expect to visit All Saints Anglican as well. This is the REC’s Nigerian immigrant mission parish. We had not spoken with them, nor sent them any materials, but it was plain that their Vicar, Rev. Shola Falodun, was part of God’s plan to bless us this weekend. After lunch, we headed over to All Saints. The congregation meets in a chapel inside a Catholic high school, normally on Sunday morning. for this Sunday, they had had to change the time of their service to the afternoon because the school needed the chapel in the morning. Thus God brought it about that we could attend All Saints as well as St. Andrew’s. And we were glad we did! Fr. Falodun was celebrating his wedding anniversary and we enjoyed a feast of Nigerian food (Sora was looking up recipes for jollof rice on her phone the drive home!) and more words of encouragement from other members of the congregation. Many were graduates of schools started by missionaries and had a keen sense of the impact that missionary work had had on their own lives and families. Fr. and Mrs. Falodun at the dinner after the service. Thank you, Fr. Levi and Fr. Falodun, for making this one of our most memorable visits! This entry was posted in Church, Looking for Senders and tagged All Saints Anglican, Fr. Frank Levi, Fr. 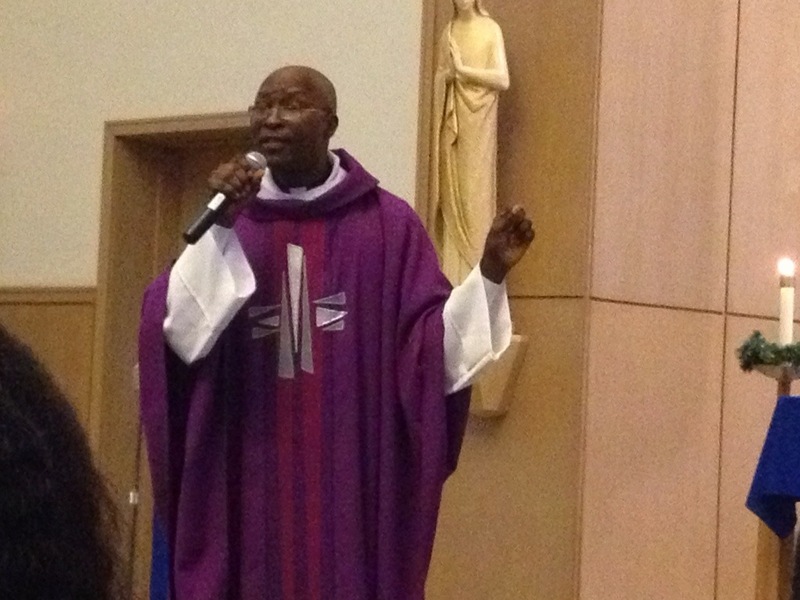 Shola Falodun, Nigerian REC parish, St. Andrew's Anglican, Tinley Park.